Tatra 815 PDF Service Manual - The manual in Russian on the operation and maintenance of the truck Tatra 815. Tatra T815-290N9T Repair Manual - The manual in Russian on maintenance and repair of the truck Tatra 815. Tatra Spare parts catalog for trucks - Catalog of spare parts for trucks Tatra. Format: ISO, size: 302.6 Mb, languages: Russian, English. 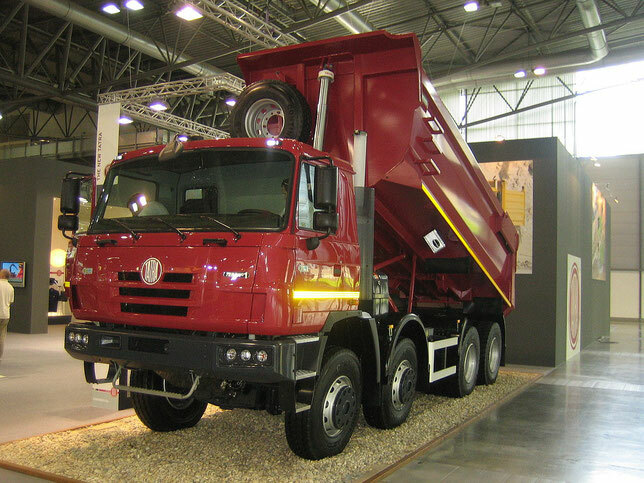 Tatra T815 is a family of trucks produced by Czech companies Tatra since 1983. All trucks of the family have a traditional spine frame and independent wheel suspension for this manufacturer; They are available in 4x4, 6x6, 8x8, 10x8, 10x10, 12x8 and 12x12 variants, and can also be equipped with diesel engines for air or liquid cooling with a capacity of 230-610 kilowatts (310-820 hp). Initially, the car was designed to replace the Tatra T813 and was designed to work in difficult road conditions or off-road, but currently produced and road versions of the truck. Designed to replace the T148, the prototype T157 was manufactured in 1970. Next, in 1970-1974, a few more prototypes were made, but none of them went to the series: because of protests from another Czech truck manufacturer LIAZ (which the state plan of Czechoslovakia was commissioned to produce trucks similar to the T157 class), Tatra closed the program for the development of this truck and switched to the production of more heavy equipment to replace the T813 and T148. In 1989, the Tatra plant upgraded the T815 and introduced its new T815-2 modification. Later the truck was modernized in 1994, and only three years later - in 1997 - it received a new Terr No. 1 cab. The next modernization was carried out in 2000. Among other things, the truck received a new dashboard, cab attachment, and the possibility of installing a liquid-cooled diesel engine - for the first time in the history of Tatra plant development. After that, the modernization was carried out five years later - in 2005. Due to the increased requirements for the content of harmful substances in the exhaust, in 2003 Tatra plant developed the V8 T3C diesel engine, which complies with the Euro III standards - like the rest of the engines of this automaker, the new diesel engine is air-cooled. Further development of this engine is diesel T3D, launched in production in 2006. It meets the standards of SCR and Euro IV.